Found along South Africa’s favourite coastal stretch, the Garden Route – George is a popular city for holidaying, adventures and seaside escapes. 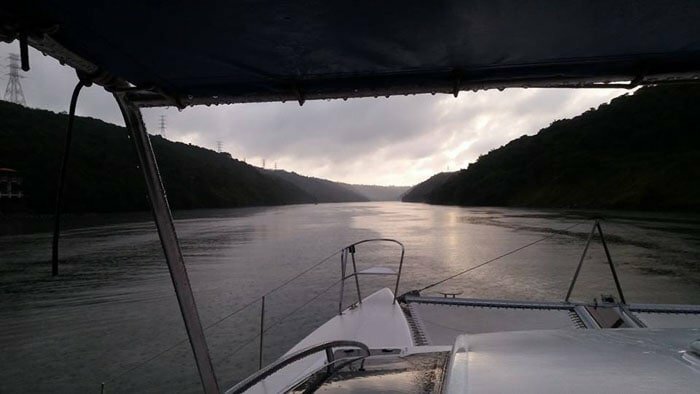 It lies in a fertile valley, surrounded by the beautiful Outeniqua Mountains, forests, dams and rivers and of course, the sea. Not only does this make it a stunning city from a visual perspective – but these facts also cement it as something of an adventure capital too! 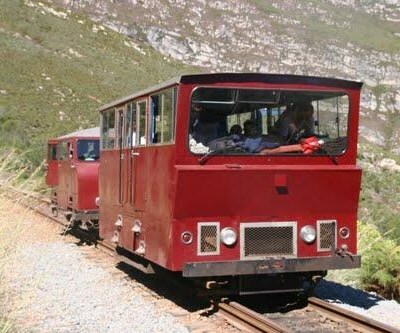 For a unique rail experience, hop abroad the famous Outeniqua Power Van. Operating since 1999, this popular van takes you high up into the mountains, showcasing the region’s incredible natural beauty to the max. It is the ideal activity for young and old travellers alike to enjoy and promises to enchant the whole family! On your trip, aside from soaking up the wonderful sights and sounds, you will also learn some fascinating things about this beautiful part of SA. Address: Outeniqua Power Van, Mission Street, Eastern Extension, George, Western Cape, South Africa. 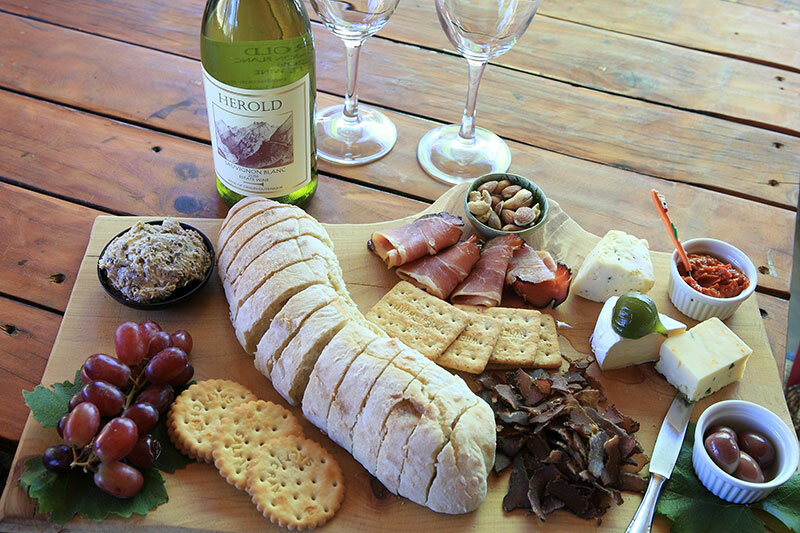 For the wine lovers among us, Herold Wines provides a delightful wine experience in the Garden Route. This beautiful estate, found up high, offers wonderful day trips and weekend getaway for its guests – thanks to its cellar tours and lovely accommodation offerings. When visiting, especially if you linger longer, why not head for some bird-watching, swim in the dam or even enjoy a delicious picnic or winetasting on the estate? Its beauty will mesmerise you and the wines will woo you… of this you can be sure! Address: Herold Wines, Montague Pass, Afguns river, Herold, George, Western Cape, South Africa. Nature lovers, this one is especially ideal for you, as this gorgeous botanical garden is one of the main outdoor attractions in the Garden Route… and rightly so! Here, you can get in touch with nature again and soak up the beauty of the Garden Route from the ground up (literally). This spectacular botanical garden offers guided tours, hikes and walks (of varying lengths and degrees of difficulty), MTB/cycling opportunities, a weekly Saturday park run – and even a delightful garden cafe in Getafix Garden Café. Visit this wondrous garden for all kinds of sights and experiences. Address: Garden Route Botanical Garden, 49 Caledon Street, George, Western Cape, South Africa. Immerse yourself in the countryside when you visit this phenomenal berry farm… Not only does it offer a plethora of food options and fun activities, but it ensures one of the most magical outdoor experiences for people of all ages to enjoy. Pick your own strawberries (during the berry season), snack on some local delicacies, stroll about the farm or simply lose yourself in the Hedge Maze. Great activities – especially geared at the kiddies and even teens – include: the Redberry Express, playground, pony rides, bumper boats, bubble ball and much more. 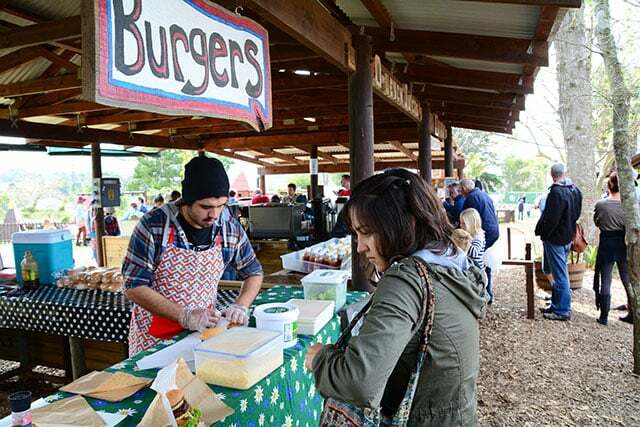 If you’re after a bite to eat, you will feel spoilt for choice, with several options, including the Redberry Farm Stall, Tea Garden and The Noshery. 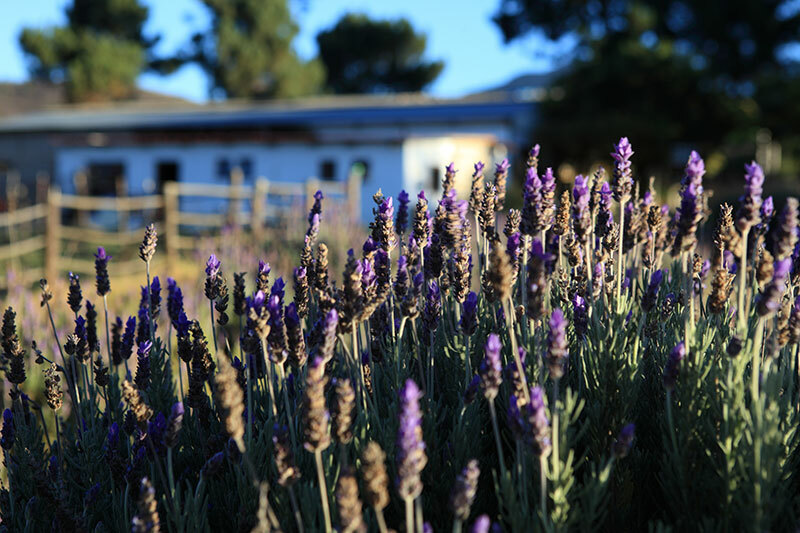 So be sure to fit this farm into your must-visit places in George – you won’t regret it! Address: Redberry Farm, Geelhoutboom Road (off the R404), Blanco, George, Western Cape, South Africa. It might lie between Sedgefield and Wilderness, but Timberlake is a village of independent businesses and incredible activities, making it an attraction for young and old. So whether you wish to shop, eat or let the little ones have some fun, this is the place to go. With activities like Acrobranch, a beautiful Fairy Garden and the immersive Wildwoods Adventure Land, the kids will be content till the cows come home. Meanwhile, adults can enjoy browsing an array of wonderful stores and eateries, including Zucchini Restaurant, Josephine’s Clothing, Wildflower Leather and many more. Best of all, this scenic venue also plays host to a variety of events – including special weddings and corporate functions. This is one of the best local attractions in the area – and it is well worth a visit! 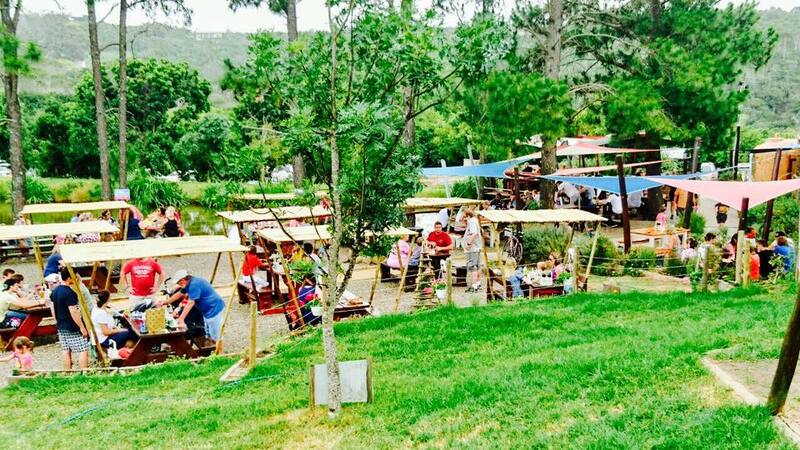 Address: Timberlake Organic Village, N2 halfway btw Wilderness and Sedgefield, Wilderness, Western Cape, South Africa. 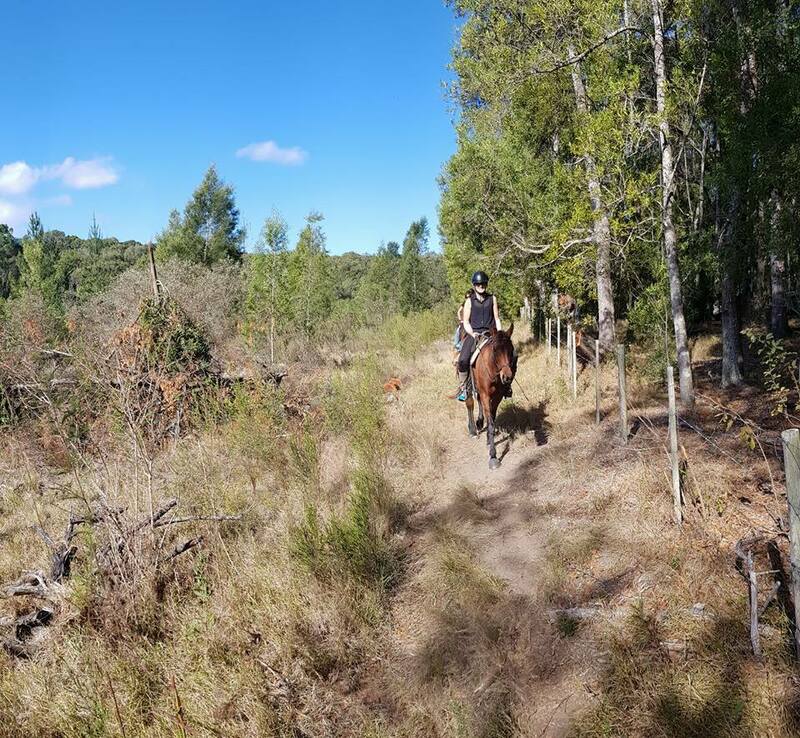 If you’re keen to head on an outride in the beautiful Garden Route, then Black Horse Trails should be top of your list. Run by passionate Andrea and her son, Black Horse Trails is home to a collection of lovely, capable horses, many of whom are rescues. Rides take you into the indigenous forests, creating a once-in-a-lifetime type of experience. They offer horses for every level of riding experience. So no matter whether you’re a beginner or a pro – you will be easily catered for. Go on, it’s time to say: giddy up, horsey! Address: Black Horse Trails, Old Seven Passes Road, Hoekwil, Wilderness/George, George, Western Cape, South Africa. Fancourt is a luxurious establishment, which offers fine accommodation, excellent restaurants and eateries, three top golf courses, a spa and leisure centre and much more. The golf academy and courses are each highly rated, ranking among South Africa’s top 15. The accommodation, eateries and all other offerings are also quality. This means that if dad (or mom) wishes to take to the greens, the rest of the family will be equally happy to be at Fancourt. This is an experience for everyone to enjoy – regardless of age and interests. Address: Fancourt, Montagu Street, Blanco, George, Western Cape, South Africa. Take a trip down memory lane at this incredible museum, which honours and houses a variety of old steam trains. Included in the mix are 13 steam locomotives, a model train room, road motor vehicles and even a private vintage car collection. Whether you have a love of cars, engines or simply just history, be sure to make a stop by the Outeniqua Transport Museum… It promises a fun and fascinating experience for everyone! Address: Outeniqua Transport Museum, 2 Mission Road, George, Western Cape, South Africa. Open every Saturday (from 8am – 2pm), this popular local market provides pleasure for the whole family. Best of all, with plenty of cover and seating on offer, you can enjoy this market no matter the weather. A festive feeling prevails throughout the market and visitors can enjoy browsing all types of stalls, tucking into delicious food and experiencing a unique country-type market. What’s more, they offer plenty of kiddies’ activities and are pet-friendly, meaning everyone really can join in on the fun. Address: Outeniqua Farmers Market, opposite Garden Route Mall, George, Western Cape, South Africa. As far as mountain passes in South Africa go – Montagu Pass (not to be confused with the town of Montagu’s own Cogmanskloof Pass) is a most famous one. Montagu Pass is believed to be one of the oldest, unaltered passes in South Africa and offers some 17,1 kilometres of narrow, breathtaking scenery. It was originally the first road between George and Oudtshoorn – but even today, it plays an important role in traffic navigation. With some 126 bends and curves, it provides many thrilling, heart-in-mouth moments… This is definitely a must for all roadtrippers and passionate travellers! Note: This mountain road is suitable for all vehicles in decent weather conditions – but please drive slowly and carefully and give way to your fellow drivers, where possible/needed. Address: Montagu Pass, George, Western Cape, South Africa. These are just some of the incredible indoor and outdoor activities one can enjoy in George… Which will you tackle first? Pietermaritzburg is KZN’s second largest city and this City of Flowers, offers plenty of interesting things for locals and visitors to see and do, as they explore it. It incorporates plenty of history and charm into its foundations – but it also knows how to celebrate modern-day fun and adventure. This beautiful, recreational dam is a delight for birders, water babies and game enthusiasts. Here, you can enjoy fishing, boating, game watching or picnicking in nature. In addition to a host of brilliant outdoor activities, there is also rustic, yet lovely accommodation here in case you wish to stay a while. At Albert Falls, there are no fences between the game park and the visitors’ area, so prepare for some close game encounters of a very special nature. Address: Albert Falls Nature Reserve, Pietermaritzburg, KZN, South Africa. Situated in a bushveld valley, The African Bird of Prey Sanctuary is a highlight for those visiting either Durban or Pietermaritzburg, as it is easily accessible from either city. This wonderful bird haven is home to the widest selection of indigenous raptors across southern Africa. Raptor Rescue is a special rehabilitation unit, which treats sick, injured or orphaned birds of prey. While the Bearded Vulture Breeding Programme strives to conserve and protect endangered birds by taking their second eggs and hatching them in cavity, before eventually releasing them into the wild to assist the dwindling population. So visit this fascinating bird park and experience these amazing birds for yourself! Address: The African Bird of Prey Sanctuary, Lion Park Road, Umlaas Road, KZN, South Africa. 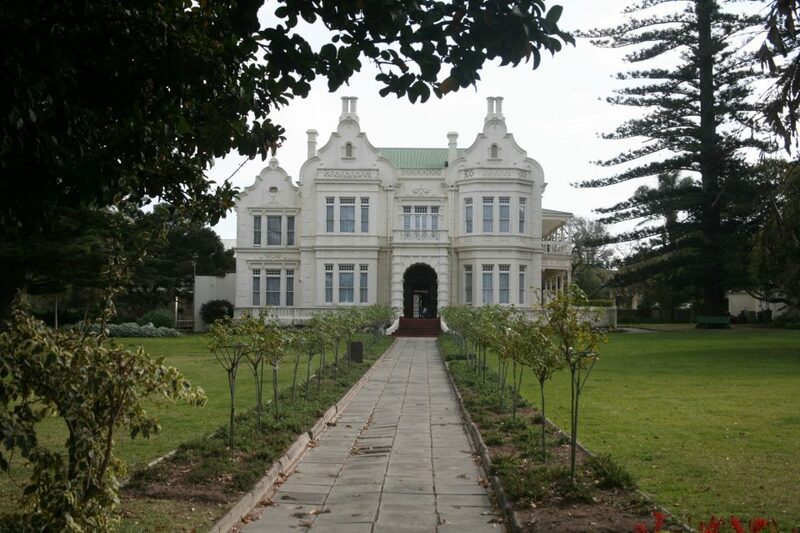 As one of South Africa’s finest art museums, Tatham Art Gallery needs little introduction. 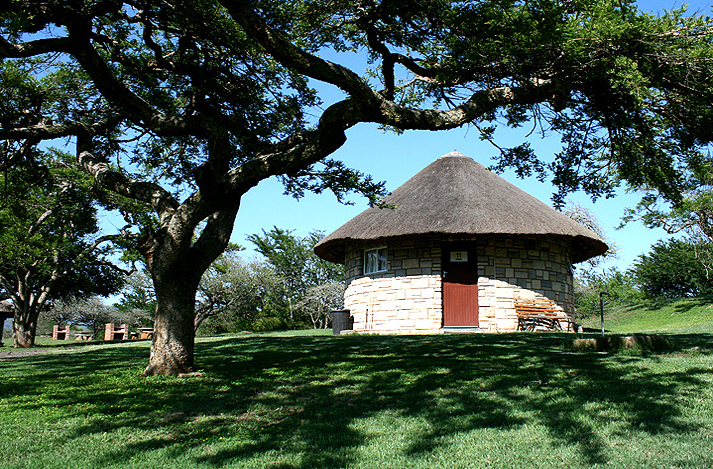 First established in 1903, it serves the Msunduzi region through its impressive visual arts. And while its primary function is to display art – it also hosts many different art exhibitions too. In addition to the museum, visitors can browse the Tatham Shop for a host of gifts, crafts, artworks and more. There is also the delightful Cafe Tatham, which is great for a slice of cake and a good cappuccino. Address: Tatham Art Gallery, Chief Albert Luthuli St (Opp. City Hall), Pietermaritzburg, KZN, South Africa. This tropical butterfly centre provides a unique experience for young and old. In the Butterfly House, you will be mesmerised by so many beautiful butterflies, as you wander through this lush environment. You will also find other creatures here, including some monkeys. Once you are done exploring, head to the art gallery or cafe for a bite to eat. Overall, Butterflies For Africa is an interesting place to visit and will definitely thrill anyone who loves these stunning insects! Address: Butterflies For Africa, 37 Willowton Road, Pietermaritzburg, KZN, South Africa. Honouring this hugely famous race, this museum paints a colourful picture of the race, its previous runners and most of all, the courage it takes to tackle something like this ‘ultimate human race’. There are stories and photos to inspire new and existing runners – and it is a must for history lovers too. Address: Comrades Marathon House, 18 Connaught Road, Scottsville, Pietermaritzburg, KZN, South Africa. First opened in November 1904, the museum is home to some of South Africa’s most significant heritage collections. Make a point of exploring this fascinating museum when you’re in KZN – it’s well worth it. Address: KwaZulu-Natal, 237 Jabu Ndlovu Street, Pietermaritzburg, KZN, South Africa. PMES’s goal is to foster in interest in the field of engineering by constructing miniature replicas of locomotives, machine tools, engines and other engineering-related projects. 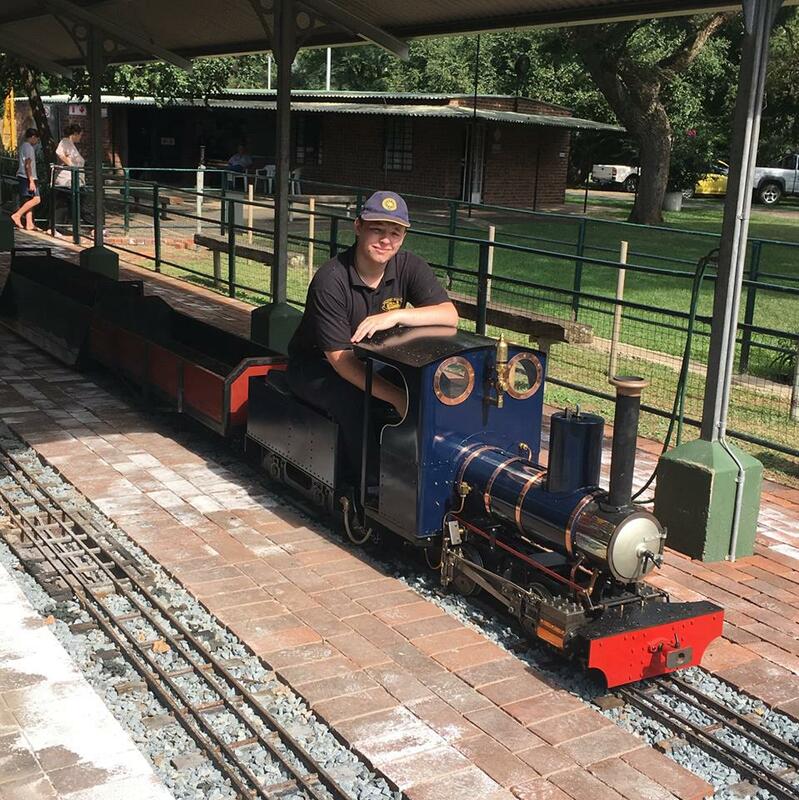 Every first Sunday of the month, they invite the public to buy tickets and enjoy a ride around the miniature railway, in steam trains and ‘diesel’ locomotives. You can also use the park for picnics with your friends and family, allowing you to make a full day of it. Note: They also can host children’s birthday parties every Saturday and sometimes even during the week too. Address: Pietermaritzburg Model Engineering Society, 78 Rudling Road Bisley, Pietermaritzburg, KZN, South Africa. Calling all nature lovers, this one is a must… This tranquil garden, found in Pietermaritzburg, is a beautiful, relaxing and above all, educational space. It offers a host of hiking trails, picnic and braai facilities and plenty of natural wonders to see, including many birds, fascinating, old trees and much more. This garden is a place of immense charm, gracefulness and beauty. It ensures a special outing for the whole family. Note: Every Saturday, you can also enjoy the weekly Farmers’ Market here. Address: KZN National Botanical Garden, 2 Zwartkop Road, Prestbury, Pietermaritzburg, KZN, South Africa. Because we all need a little pampering in life sometimes, this highly rated spa is the perfect place to go for it. Choose from a range of special spa packages. They offer several different options, with prices and offerings to suit every need and budget. This is one of the finest hair and beauty salons and spas anywhere in the Natal Midlands… so what are you waiting for? It’s time to relax and unwind, while you are treated like pampered royalty. Address: Senses Salon & Spa, 8 Old Howick Road, Wembley, Pietermaritzburg, KZN, South Africa. 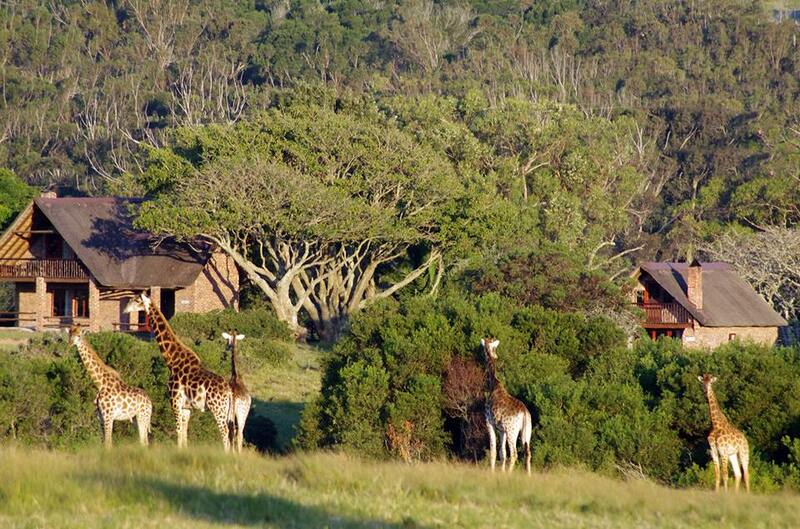 Hidden away in the hills, among a peaceful farming community, this private game reserve is a special find indeed. They offer a host of incredible activities – think: game drives, MTB, fresh water fishing, paintball/target shooting and even archery -, accommodation (in Aloe Lodge), a lovely restaurant and plenty of year-round calendar events too. Tala Game Reserve can also host memorable weddings (and corporate functions)… so you really can have that luxury game lodge wedding you’ve always dreamed of! Immerse yourself in nature, see the wildlife up close and enjoy ultimate luxury – it’s all part of the package at Tala Game Reserve. Camperdown, Pietermaritzburg, KZN, South Africa. These are just some of the fun things you can do in and around Pietermaritzburg! Have you tried any yet? As KwaZulu-Natal’s second largest city, Pietermaritzburg is an interesting place to visit. There is plenty to see and do in this city, which it is known as the ‘City of Flowers’ thanks to its plethora of beautiful roses and azleas. This award-winning, artisan cafe is a place where amazing harmony, passion for excellent food and quality service come together. 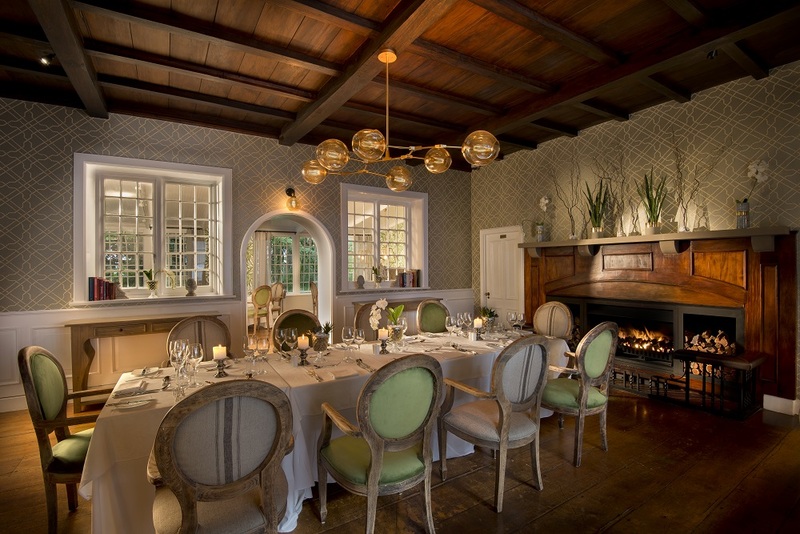 They offer an incredible range of food, whipped up with style and finesse by Chef Gregg Oosthuizen. Their aim is to create food, which uses primarily local, seasonal ingredients – and that is fresh and tasty to boot. Here, good eating can be enjoyed in a beautiful space – and friendly service and quality offerings are always a guarantee. Address: Sagewood Cafe, Shop 3, Blackwood’s Home of Gardening, 97 Chatterton Road, Pietermaritzburg, KZN, South Africa. 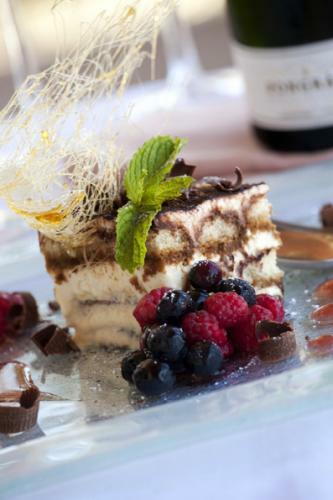 Specialising in Italian cuisine, this restaurant offers everything from mouthwatering traditional dishes to modern recipes and delicious comfort food. And, best of all, they also offer some excellent wines so you really can dine in style. Lavitae’s central location makes it easily accessible, further ensuring it is the perfect place to head for a memorable meal with those you love. Address: Lavitae Restaurant, Ground Floor, Invesco Centre, 16 Chatterton Road, Pietermaritzburg, KZN, South Africa. Established by owners Jacqui and Nickos Itopoulos, the Mediterranean has strongly influenced the menu and warmth of these eateries. Olive and Oil specialises in delicious Mediterranean food, which is both simple and comforting. With branches across KZN, this charming eatery is one of four delightful restaurants in the ‘Olive Belt’. But this is certainly one of the most beautiful, particularly as it offers a wonderful outdoor deck-meets-garden area, with comfy lounge seating. Olive and Oil strive to provide a welcoming, family-like dining experience for their guests, so the experience, at any of their branches, is certainly a pleasurable one. Note: Every Sunday, kids eat free. Address: Olive and Oil, Cascades Shopping Centre, 23 Mc Carthy Drive, Pietermaritzburg, KZN, South Africa. For those seeking authentic Indian food, Tandoor Kitchen should be your first port of call. This eatery offers a wonderful dining experience, with top class, flavourful food and comfortable surroundings. They offer both sit-down and takeaway, so you can choose whether you will linger longer or order and go. 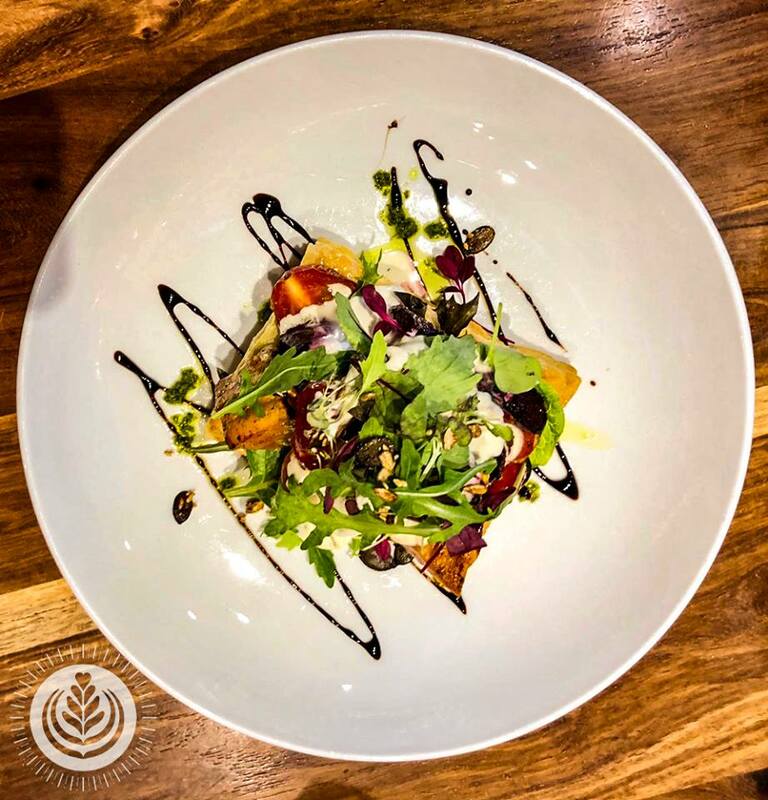 This is rated as one of the best restaurants in PMB, especially if you want generous portions and fresh, authentically flavoured food – don’t miss out! Address: Tandoor Kitchen, 319 Bulwer Street, Pietermaritzburg, KZN, South Africa. Whether you visit Rosehurst for a charming tea experience with loved ones or just to eat and stroll around the beautiful, English garden – no visit to PMB is complete without making a stop at this delightful eatery. In addition to its pleasant setting and good food and drinks, this coffee shop also has lovely antiques on sale, so you can browse before or after you’ve eaten. Service is attentive, the vibe is tranquil and interesting and they offer good, honest food – what more could you need? Address: Rosehurst, 239 Boom Street, Pietermaritzburg, KZN, South Africa. This family-run restaurant is the place ‘where family and friends meet’. They offer a quality, varied menu, which can suitably cater to all tastes. Jayz Grill is ideal for breakfast, lunch or dinner. Plus, in addition to their full menu, this cosy and cheerful eatery also has some great daily specials, a children’s menu and an award-winning wine list to boot. Be sure to pop by for a meal with your loved in this especially child-friendly restaurant. Note: Jayz Grill can also host kids’ parties. Address: Jayz Grill, Invesco Centre, Chatterton Road, Athlone, Pietermaritzburg, KZN, South Africa. This classy, yet edgy cafe is the place to go in Pietermaritzburg. It is hugely popular for breakfast, lunch or dinner – as you choose – and is famed for its great coffee and food alike. 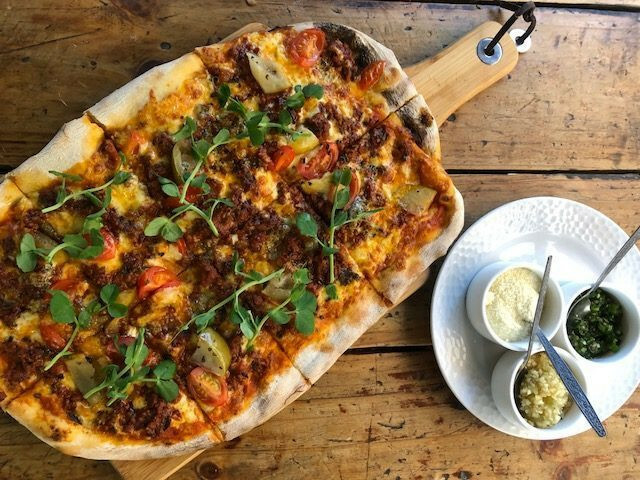 Established in 2005 and impressively revamped in 2016, Coffeeberry Cafe is the friendly, industrial-chic locale, which offers a wonderful menu, wine list – and of course, sumptuous interiors, with strong wooden and brick overtones. If you are looking for a relaxed eatery, then head to Coffeeberry Cafe. Address: Coffeeberry on the Piazza, Cascades Lifestyle Centre, Pietermaritzburg, KZN, South Africa. 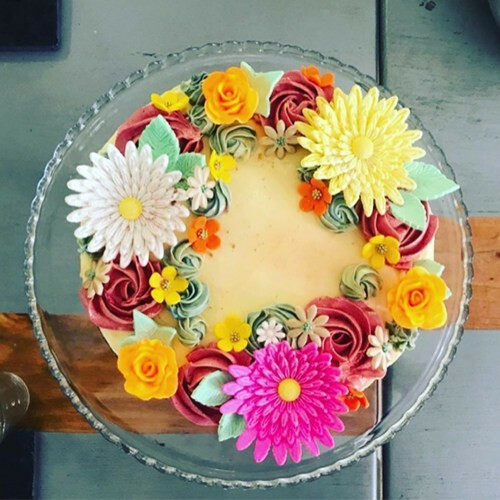 Set within an oasis of natural garden beauty, Tea on 23, which opened in 2011, is one of the prettiest eateries you will find in South Africa – never mind in Pietermaritzburg! Adding to the rustic, yet delightful experience is the resident peacock, beloved by guests. This eatery is ideal for breakfast or brunch, light lunches and even buffet-style eating. They can also assist with functions, like baby showers or kitchen teas. Tea on 23 offers delicious, healthy food, which is fresh and consistently good. 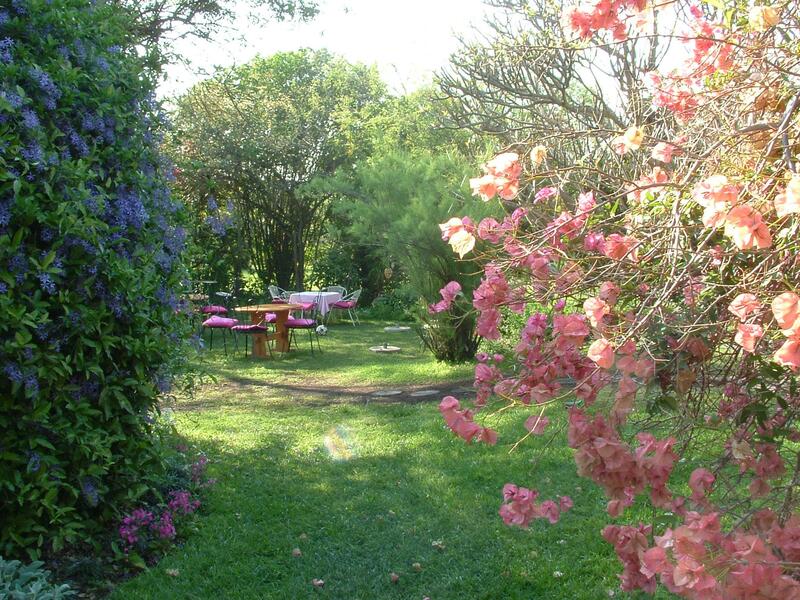 To top it off, service is always good and the atmosphere – particularly the charming garden setting – is pure bliss. So, for a relaxing, beautiful eatery with both good food and service, turn to Tea on 23. Address: Tea on 23, 23 Carbis Road, Pietermaritzburg, KZN, South Africa. This pub and restaurant is known for its vibey atmosphere and consistently good pub grub food. What’s more, at Keg and Hedgehog, the staff are friendly and service is good. KEG is particularly popular on sports days, with many regulars frequenting it on match day. Either way, this is definitely the spot to go with friends or to catch the sport over a good beer. Address: Keg and Hedgehog, 585 Town Bush Road, Montrose, Pietermaritzburg, KZN, South Africa. So which eatery will you feast at first in the City of Flowers? Found along the beloved Garden Route, George is a popular city for travellers and holidaymakers, especially over Easter and the Festive Season. It ensures a scenic, coastal-lying escape, while – as the Western Cape’s second largest city – also allowing you to still enjoy the ease and convenience of an organised, large city and all it has to offer. Aside from offering plenty to see and do, beautiful scenery and its own unique history, George is also well-stocked with some top eateries. Henry White’s may be a posh fine dining restaurant but, at its culinary heart, it offers a warm atmosphere. This is complete with rich, classic foods inspired by the local food heritage. Henry White’s is done out oh-so-tastefully and oozes elegance and class. This means that this restaurant is the place to go for any special occasion (it is especially romantic!) – or even just if you want to spoil yourself a little. Henry White’s executive chef, Desmond Morgan, is known for keenly incorporating local produce. This is something he uses with flair and creativity, helping him to place stunning meals before eager diners. It is quality right through, particularly as the ambiance and service here is as wonderful as the food. Note: The required dress code is smart casual – and reservations are essential. Address: Henry White’s, Montagu Street, Blanco, George, Western Cape, South Africa. This lovely, airy space is perfectly positioned, overlooking the immaculate Outeniqua golf course, with the majestic mountains behind. It’s the ideal spot for a coffee over breakfast (or lunch), light-hearted brunch, a classy dinner… or even just a meaningful catch-up with those you love. Best of all, it is serene and calming inside and out. What’s more, Monet’s offers a well-balanced menu… With everything from light meals to sushi platters available. Note: Required dress code is smart casual. 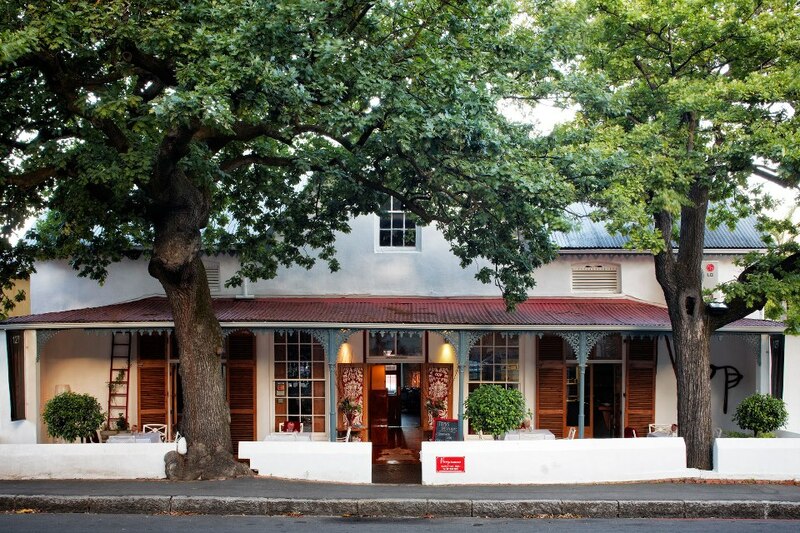 Address: Monet’s, Montagu Street, Blanco, George, Western Cape, South Africa. For those seeking a lovely restaurant, with delicious food and a welcoming vibe, look no further than Old Townhouse Restaurant. Above all, by popular vote, it is also considered a value-for-money restaurant. So you can enjoy a quality dining experience in George without breaking the bank. 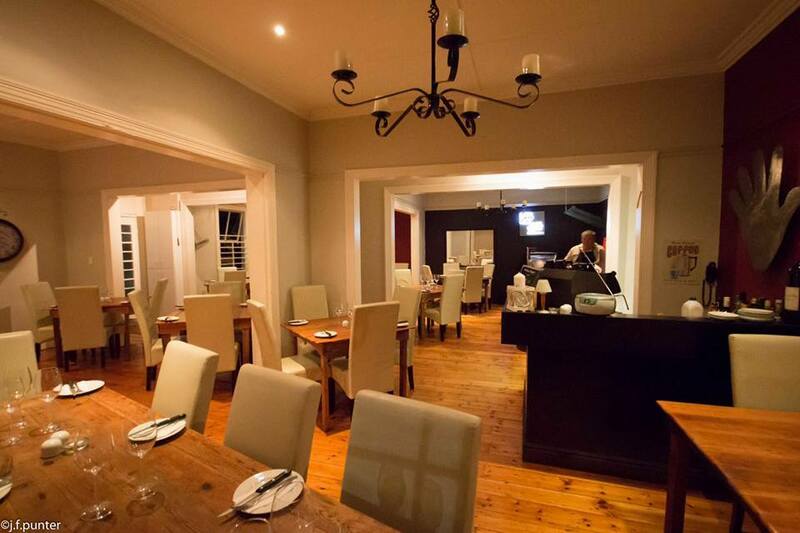 Address: Old Townhouse Restaurant, 94 York Street, George, Western Cape, South Africa. Whether you are looking for a good breakfast, lunch or dinner, 101 Meade Street Restaurant is the place of choice for all these and more. This contemporary-style restaurant and bar is stylish, beautifully decorated – and above all, it offers incredible food. With a strong emphasis on using local produce and seasonal, simple ingredients, this restaurant is known and loved for its locally roasted coffee, classic breakfasts, pastries, artisan baked breads and other mouth-watering treats. 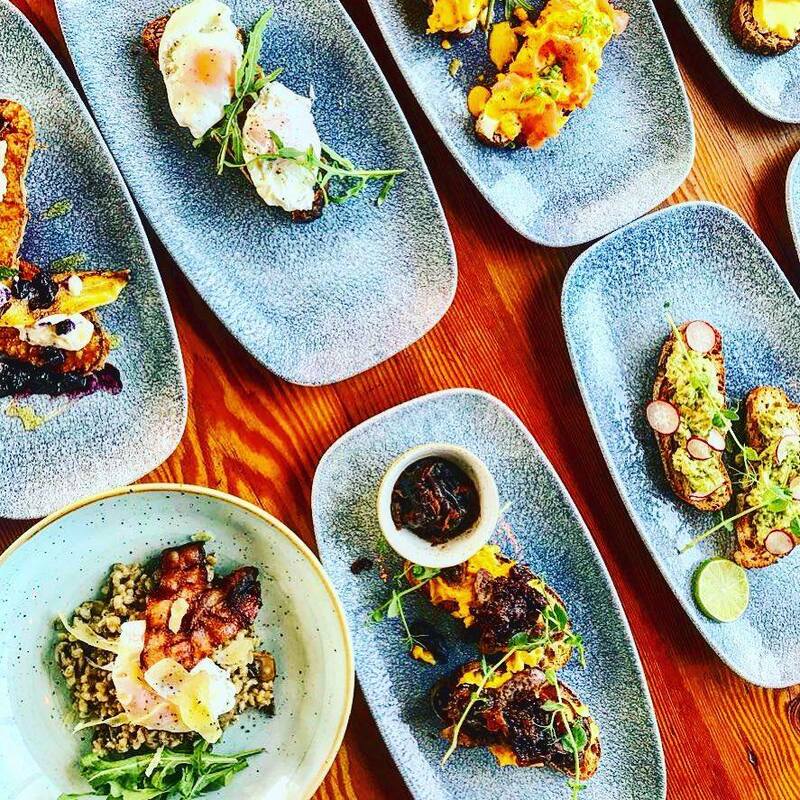 Their lunch and dinner menus offer predominantly seasonal, contemporary dishes, but, if you’re after something a little different, they also offer an interesting tapas menu and some quality wines. Address: 101 Meade Street Restaurant, 101 Meade Street, George, Western Cape, South Africa. This Mediterranean-style restaurant provides guests with a welcoming atmosphere. This is further complemented by its tasteful, yet vibrant decor and interiors and of course, classy food. 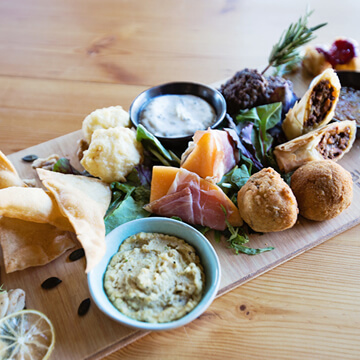 While the menu draws primarily from Mediterranean roots for inspiration, you will also find some South African delicacies in the mix… Indeed, this is wholesome, excellent food at its best. Another thing La Capannina takes seriously is their wine, offering an extensive list of both new and long-standing varietals to please even the staunchest wine connoisseur! Address: La Capannina, 122 York Street, George, Western Cape, South Africa. Serving up delicious Turkish cuisine, Kafe Serefe is an interesting eatery to visit. Creatively decorated to capture its unique culture and cuisine, it is certainly a charming food stop in George. Portions are generous, the dishes are delicious and flavourful – and best of all, its setting is delightfully lovely, with good service and decent pricing to boot. If you are looking for something different from the more typical Cape restaurants – be sure to visit Kafe Serefe for a truly memorable food experience! 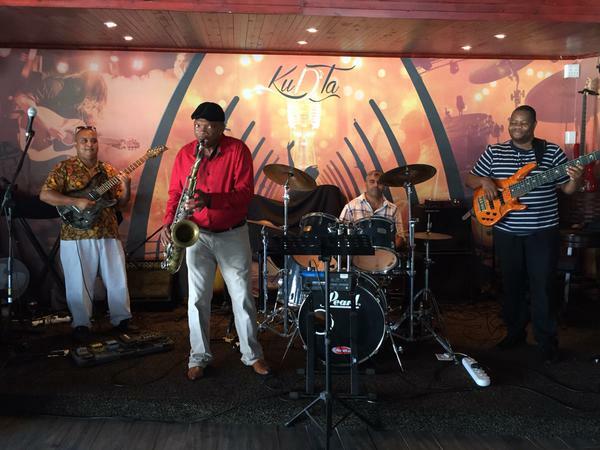 Address: Kafe Serefe, 60 Courtenay Street, Bodorp, George, Western Cape, South Africa. Sushi addicts, this one is definitely for you! Shan Sushi is a popular sushi joint in George, loved for its fresh, tasty sushi, excellent service and good prices. Locals (and travellers alike) adore this quality sushi restaurant. Many visitors hail it as one of the best sushi places (and sushi) anywhere, with extremely friendly owners to boot. So, if you are craving some mouthwatering sushi… head to Shan Sushi! Address: Shan Sushi, 107 York Street, George, Western Cape, South Africa. 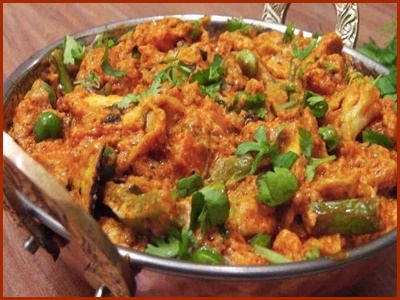 Meenachee’s North & South Indian Cuisine is a George restaurant, which is loved for its delicious Indian food. For over a decade now, locals have enjoyed tucking into authentic, flavourful dishes, prepared by chef-owner Meenachee Reddy. In addition to the fact that it is well-known for its thoroughly pleasing cuisine, this eatery is also the oldest (and arguably one of the most popular) Indian restaurants in the Garden Route. For a taste of India, visit this exciting eatery, where tempting dishes – like Karoo Lamb Curry or the quintessential South African bunny chow – are sure to satisfy your hunger. Address: Meenachee’s North & South Indian Cuisine, 1 Market Mall, Market Street, George, Western Cape, South Africa. 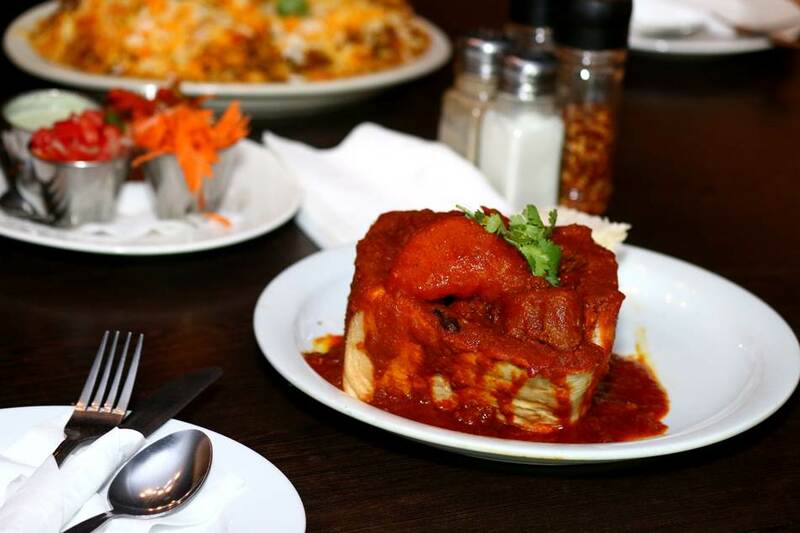 La Cantina is the perfect place to go for some good food and quality time with the whole family. This gorgeous restaurant, which offers incredible indoor and outdoor seating, is a beautiful haven within George – and a foodie gem, too! 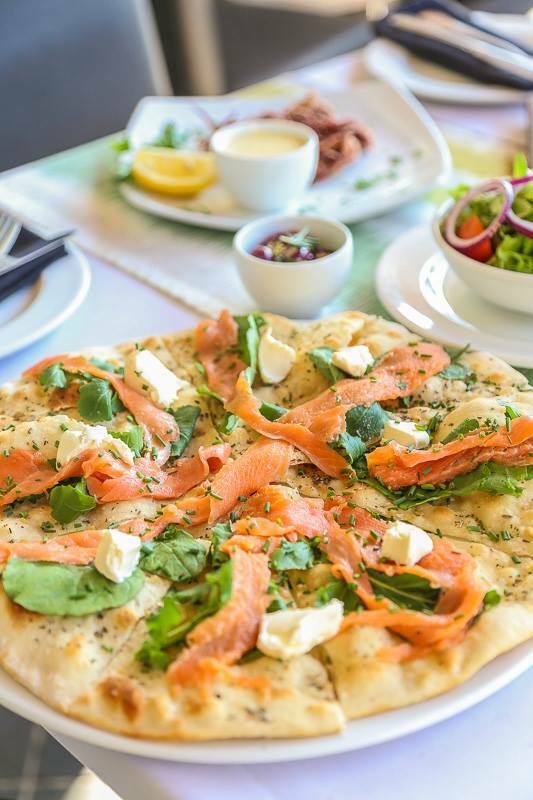 Its traditional Italian menu serves up everything from authentic Mediterranean dishes to prime steaks and marvellous homemade pasta or thin-based, wood-fired pizzas. So join La Cantina for a special dining experience – especially as all ages are most welcome here. Address: La Cantina, Montagu Street, Blanco, George, Western Cape, South Africa. The Hussar Grill franchise is one of the most consistently good, popular restaurant chains you will find in South Africa. 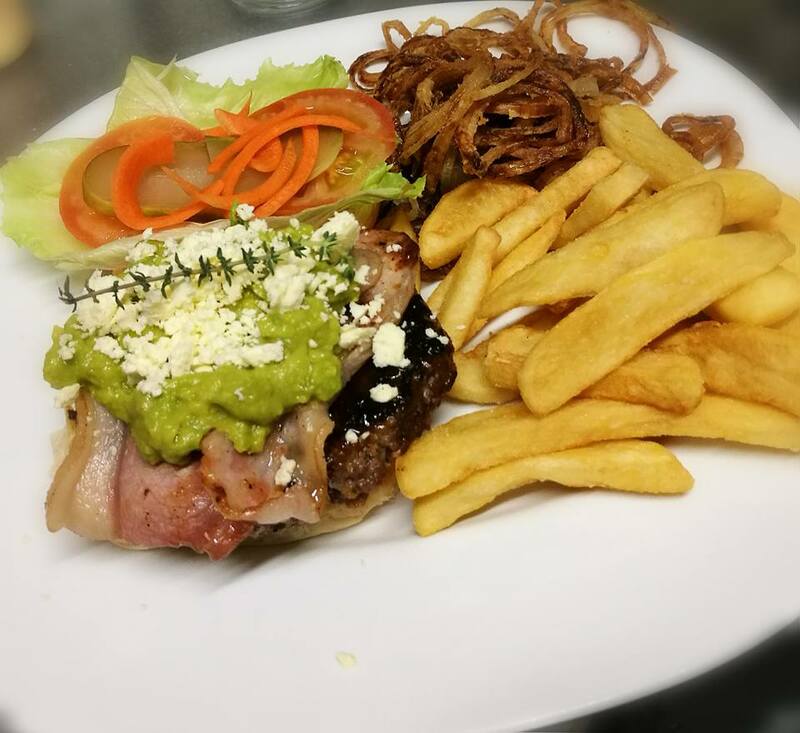 When you encounter a Hussar Grill restaurant, chances are you can expect the following: excellent food, quality service and a comfortable, posh dining experience. 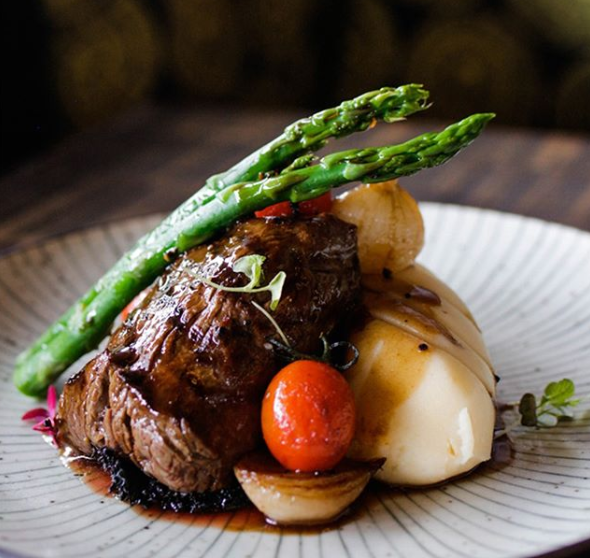 The Hussar Grill George is no exception to the rule… It provides its customers with memorable meals, friendly service – and above all, incredible steaks and other glorious dishes. Join them for a quality meal, where your food needs and dining pleasure are always the top priority. Address: The Hussar Grill George, Caledon Square, Corner of York and, Davidson Street, George, Western Cape, South Africa. These are just some of the quality eateries you can find in gorgeous George… Which are you eager to visit first? East London is a fabulously fun city to explore. This Sunshine Coast city offers plenty to see and do – whether it’s a day by the beach, time spent exploring a museum or heading to a secret spot beloved by the locals, there’s something for everyone to enjoy. Whether you are keen to surf, swim, go for a walk or simply sit and soak up a bit of the sun, Nahoon Beach is arguably one of the best beaches to enjoy in the Eastern Cape. It’s not only extremely beautiful but it’s clean and neat to boot, with soft beach sand and unspoilt natural surroundings. Blessed with a lovely wooden walkway for admiring the scenery, Nahoon Beach is perfect for the whole family. Address: Nahoon Beach, Beach Road, Nahoon East London, Eastern Cape, South Africa. Southern Cross Cruises offer an exciting local experience: river cruises along the beautiful Buffalo River. Catering to social groups, birthday parties, weddings or simply soothing sundowner trips, this family-friendly cruise (suitable for all ages) is a wonderful way to experience some local natural beauty in a real and intimately fun way… This is a must for locals and tourists alike! Address: Southern Cross Cruises, 1 Sheerness Place, East London, Eastern Cape, South Africa. Loved by locals, Lavender Blue Market (open daily) is a wonderful, family-friendly farmer’s market, where you can enjoy browsing stalls, buying great, value-for-money eats and enjoying an all-round charming experience. The market is spread between a large, vibey indoor space and a tranquil outside area, which is perfect for kids to run around freely in. This is a truly delightful spot in the city – and one you definitely need to visit for yourself. Address: Lavender Blue Market, Old Gonubie Road, East London, Eastern Cape, South Africa. Founded in 1921, this time-honoured museum is one of South Africa’s most interesting and informative cultural and natural museums. 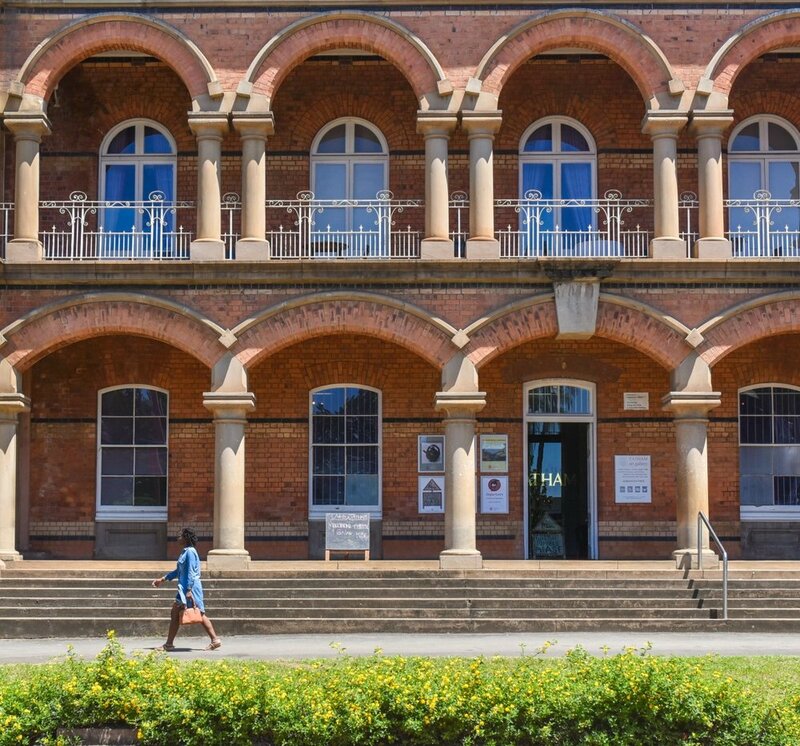 East London Museum offers a range of exciting exhibits, with highlights including the ‘World War 1’ and ‘Plants and People’ exhibitions. Note: The museum is closed on Sundays and public holidays. For opening times and admission fees, please see their website or contact them direct. Address: East London Museum, 319 Oxford Street, Southernwood, East London, Eastern Cape, South Africa. The Ann Bryant Art Gallery is a beautiful and well-known art museum and gallery. 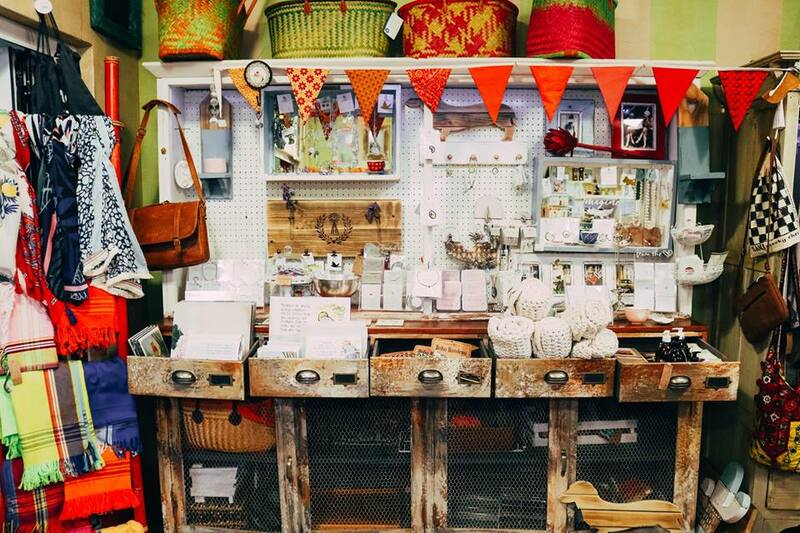 As one of the best art spots in town, it offers an interesting array of exhibits. There is also a lovely garden for you to ample around once you have finished appreciating the art. Note: Ann Bryant Art Gallery is also a National Monument. Address: Ann Bryant Art Gallery, No 9, St Marks Road, Southernwood, East London, Eastern Cape, South Africa. If you are looking to escape the confines of the city and immerse yourself in the peace and quiet of the outdoors, Nahoon Estuary Nature Reserve is the place for you. Walk through the mangrove swamps, head down to the pristine beach or simply pack a picnic and enjoy seeing all the natural flora and fauna. Either way, you win and will enjoy a special day out with those you love! 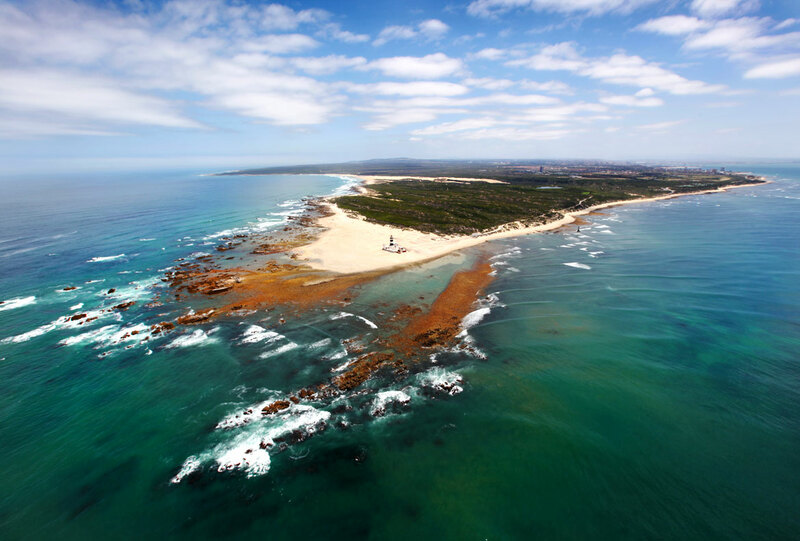 Address: Nahoon Estuary Nature Reserve, East London, Eastern Cape, South Africa. If you’re craving a sweet treat, then Friesland Milk Bar is a must-visit spot. This delightful milk bar is famous for its ice-cream and milkshakes, which come in over 20 droolworthy flavours, with many delicious ice-cream sauces besides… Pop by for something tasty to enjoy the sweeter side of East London! Address: East London, Eastern Cape, South Africa. This fun, family-friendly spot (with great play facilities for kiddies) is well-worth a visit – if only for its beauty, especially thanks to its stunning Cape Dutch-style architecture. Combining a lovely restaurant and farmstall, it allows you to enjoy a relaxing meal or pack in some goods for the road ahead. Either way, you can enjoy a lovely time out at Pinecreek Restaurant and Farmstall. 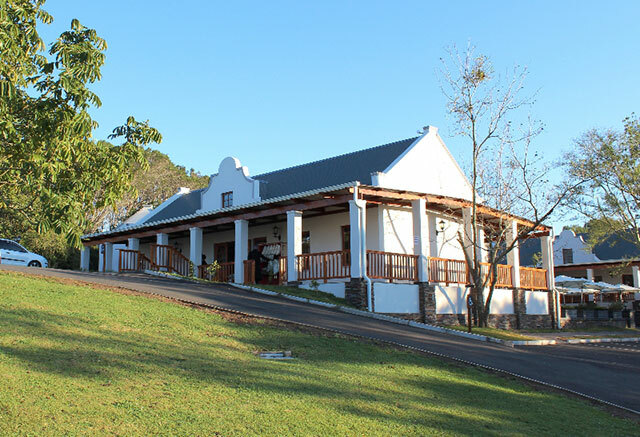 Address: Pinecreek Restaurant and Farmstall, Road A1, Holm Hill, Main Road, Beacon Bay, Eastern Cape, South Africa. First opened in 1931, this long-standing museum is one of the oldest public aquariums in all of Southern Africa. It might not be large but it offers a good variety of interesting and fascinating sections and displays nonetheless. Highlights include the penguin area and beautiful fish. Address: East London Aquarium, 13 Esplanade Street, Quigney Beach, East London, Eastern Cape, South Africa. Last but far from least, we have the stellar Mpongo Park Private Game Reserve, situated a short distance out of East London. This quality establishment and game reserve allows visitors to get up close and personal with some amazing game and wildlife. The reserve also offers accommodation and conference facilities if you expect to visit for longer. Be sure to enjoy a game drive (including special night and sunset drives, which can be arranged on request), team building activity or safari walk when visiting this incredible private game reserve. Address: Mpongo Park Game Reserve, Macleantown District, N6 National Road, East London, Eastern Cape, South Africa. As one of South Africa’s most popular cities to visit, East London – blessed with the warm Indian Ocean, a subtropical climate and a good city vibe – is a gem worth discovering for yourself. And, best of all, this Sunshine Coast-lying city offers some excellent eateries worth savouring too. 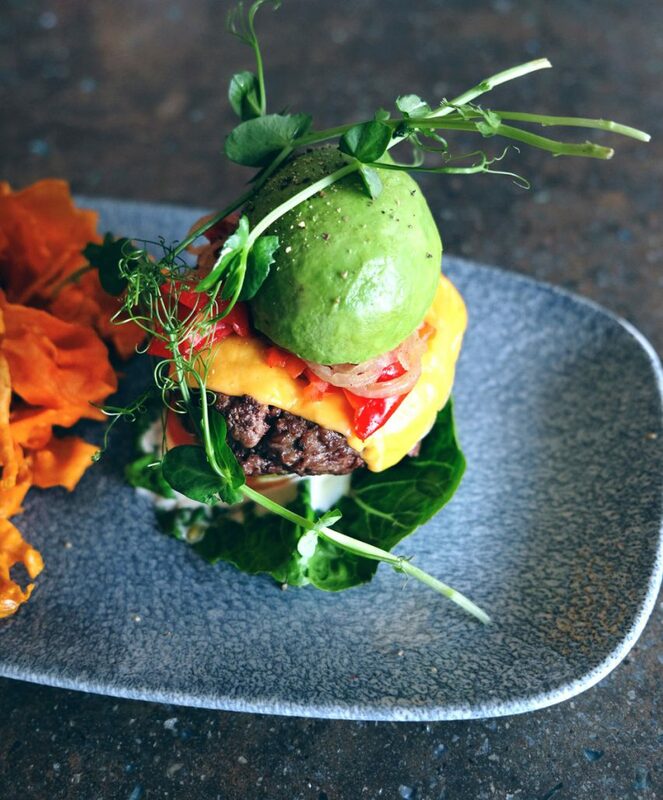 Serving up a mix of quality dishes – with an emphasis on their gourmet burgers (there is even a vegan option) – Sanook Cafe creates a memorable dining experience for its visitors. Highlights from the menu include their Sweet Potato Moroccan Chicken Buddha Bowl, The Deluxe Burger, Chocolate Brownie and Flatbread Focaccia (ideal for sharing), to name only a few. In addition to this drool-worthy, larger-than-life food, they also have a wonderful restaurant atmosphere and good service, both of which only add to the overall experience. Note: Sanook is open Monday to Saturday for lunch and dinner but is closed on Sundays. Address: Sanook Cafe, 11 Chamberlain Road, Berea, East London, Eastern Cape, South Africa. This elegant eatery, complete with indoor and outdoor seating, has a touch of class that permeates its every inch. 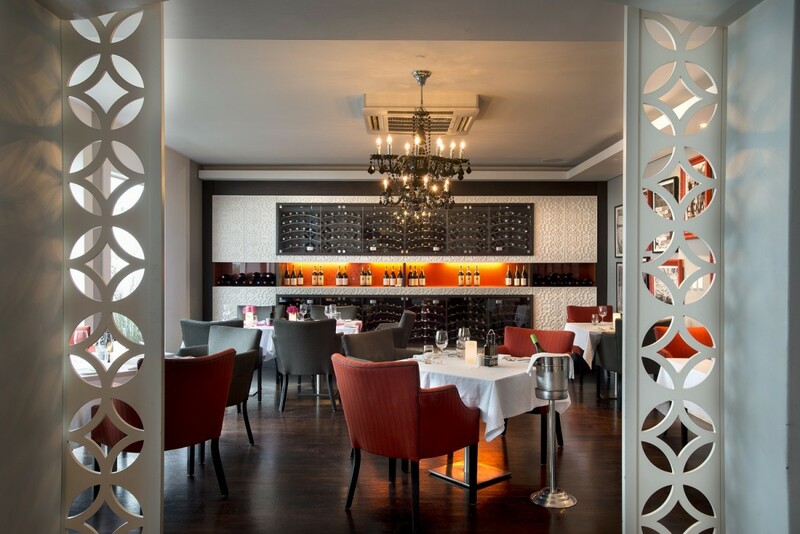 Not only does Grazia offer some amazing dishes – think, seafood and grill speciality mains, delicious pizzas and gorgeous desserts – but it also offers an award-winning wine list, with everything from bubbly to red and white favourites and more. Order a glass of something fine to savour with your fresh, flavourful meal, as you enjoy Grazia’s beautiful surroundings. Address: Grazia Fine Wine and Food, Upper Esplanade/Beach Front Road, East London, Eastern Cape, South Africa. Offering flavourful Indian food, the small but cosy Irana makes a memorable impression with its fragrant, delicious dishes and good service. Although they offer some standard eats – like classic sandwiches – it’s the bunny chows, roti rolls, vindaloo and Karai Gosh delights and more, which will have you coming back time and again. An added bonus is that they also have some great desserts, like peppermint tart or mango ice cream, perfect for when you need to hit that sweet spot post-meal. Note: Irana Indian Cuisine caters to both meat eaters and vegans alike. Address: Irana Indian Cuisine, 5 Glaston Street, Berea, East London, Eastern Cape, South Africa. 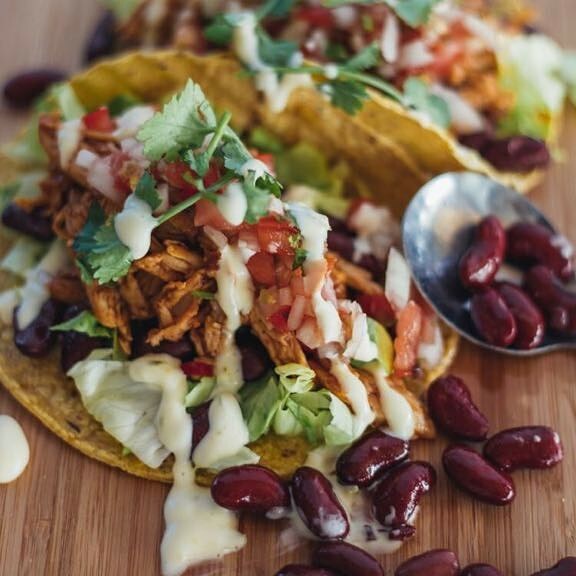 For those who crave good Mexican food in East London, look no further than the popular Cantina & Craft. Whether you want good nachos, a taco or even just some tequila… Cantina & Craft can happily attend to all your Mexican food craving needs. In addition to their fine food, they also offer excellent craft beer on tap. So, what are you waiting for? It’s time to head to Cantina & Craft for a foodie fiesta! Note: Cantina & Craft is part of the Sanook Restaurant family. East London, East London, Eastern Cape, South Africa. Popular with the people, Windmill Roadhouse is a favourite among East London locals. And when you factor in top notch service, great food and a longstanding history of quality offerings (since 1946, no less) – it’s clear why. This traditional restaurant offers excellent food at affordable prices, as well as some of the best coffee in town… What more do you really need? So head over to this classic, local eatery, which is perfect for everyone. Address: Windmill Roadhouse, Windmill Park, Esplanade, Quigney, East London, Eastern Cape, South Africa. This rustic, wonderful steakhouse draws in glowing reviews on both its consistently good food and service. And with some interesting and mouthwatering dishes available, it is certainly one of the food gems in East London. Best of all, it excels at its steaks, with many people hailing The Cricketers’ steaks as ‘the best steak in town’. But it’s the fact that they always offer a good restaurant experience and sound service that truly sets them apart. Address: The Cricketer, Schafli Road, East London, Eastern Cape, South Africa. This attractive cafe offers some of the best food around, with a wide range of options to choose from. What’s more, service is consistently good and the setting is lovely too. 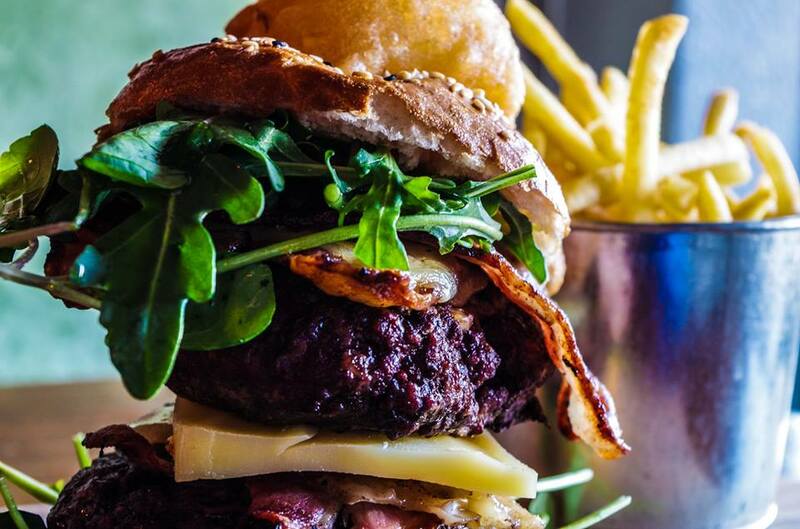 With great cocktails (hailed by many as top class), pasta and burgers and a delightful atmosphere to boot, Cafe Neo is perfect for casual eating and cosy catch-ups. Best of all, the cafe offers a wonderful view of the beach, so you can soak up the sights of East London while you eat. Address: Cafe Neo, 128 Moore Street, Quigney Beach, East London, Eastern Cape, South Africa. Opened in 1992, Buccaneers is more than just a local watering hole, for this spot also just so happens to serve up some good, solid pub grub and views for days – thanks to its proximity to the beach. The vibe here is fun and relaxed, meaning you can enjoy a chilled time out with friends and loved ones. Better still, service is good and there is a choice between indoor or outdoor seating, as desired. If you need to unwind, laid-back Buccaneers is the place to do it at in East London. Address: Buccaneers, 1 Tram Track Road, East London, Eastern Cape, South Africa. Boasting a tranquil setting, The Beach Break Cafe is famed for its great coffee, light lunches, good breakfasts and tasty cakes. Visitors agree that the food is good (including the dessert), service is great and the setting is dreamy and peaceful. At this family friendly cafe, tuck into healthy food options, like their chicken and stir fry wrap or carrot cake, as you enjoy relaxing in the fresh air under the trees… It’s sure to soothe and satisfy you. Address: The Beach Break Cafe, East London, Eastern Cape, South Africa. For anyone looking for a quiet and intimate spot, this comfy eatery, which opened in 2016, has you sorted. 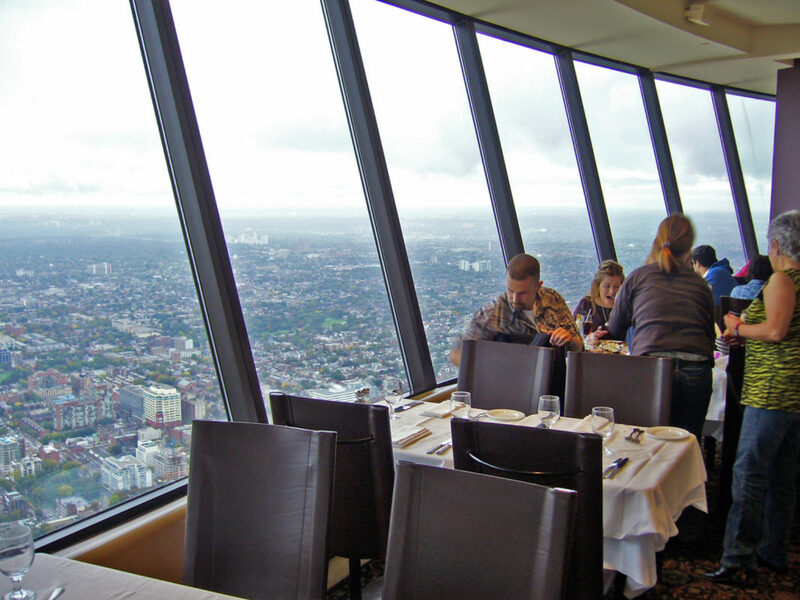 Service and food are both solid and good and the atmosphere is pleasant above all else. Be sure to pay them a visit and enjoy both tasty food and a peaceful setting at The Cow Shed. Address: The Cow Shed, 54 Beach Road, East London, Eastern Cape, South Africa. These are just a few of the best eateries to enjoy in East London. Which is your pick? 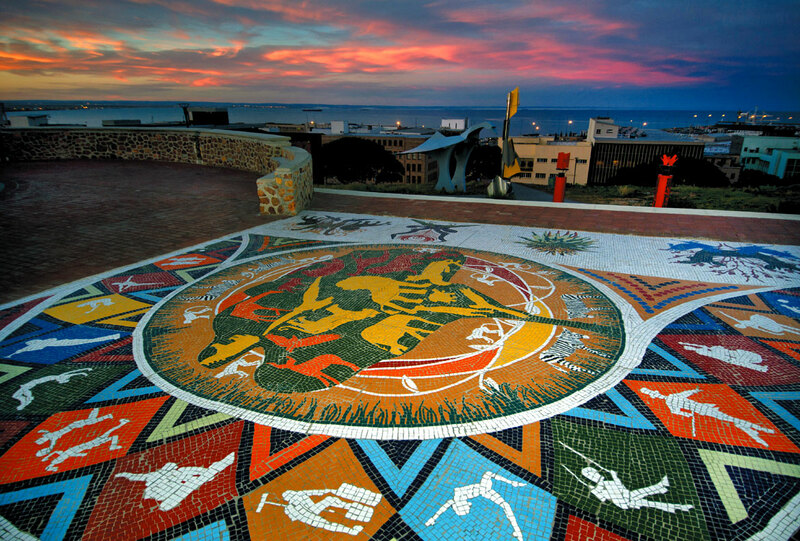 Port Elizabeth is a beautiful city, with plenty of amazing attractions, beautiful natural scenery and lush city vibes to make a local or traveller’s day. This romantic, cosy restaurant offers a touch of class, quality meals and superb service. 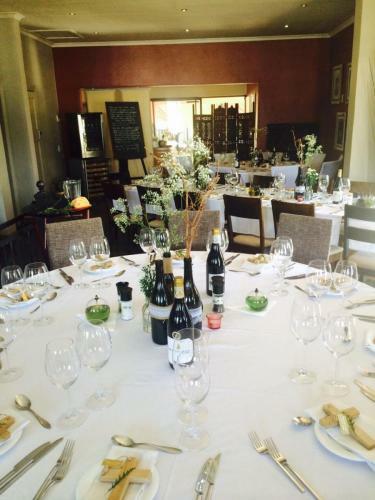 If you are looking for a place to celebrate a special occasion or create beautiful new memories, De Kelder should be top of your list in PE. Try exciting dishes like the Vension Duo or Chateaubriand… Whatever you sample though, a good meal and great service are guaranteed. Address: De Kelder Restaurant, 39a Marine Drive, Summerstrand, Port Elizabeth, Eastern Cape, South Africa. Opened in 1972, this grand old dame has stood the test of time with popularity, grace and beauty. As the longest running restaurant in PE, it has a rather iconic status – but it is the warm service, classic Austrian cuisine and beautiful surroundings that make it truly memorable. Visit Old Austria for a special meal in a very special PE restaurant. Address: Old Austria Restaurant, 24 Westbourne Road, Central Port Elizabeth, Eastern Cape, South Africa. 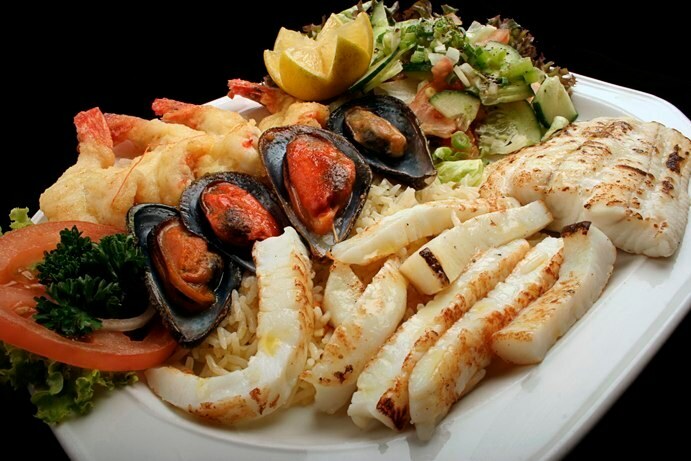 If you are looking for delicious Portuguese food, delightful service and a lovely dining atmosphere to boot – then Shanna’s is perfect for you. The restaurant is hugely popular and continues to convert new and old customers alike into die-hard fans… More importantly, this is authentic Portuguese dining and hospitality at its finest. For those craving a more relaxed eatery, Cubata Sydenham Port Elizabeth is the ideal spot. It’s laid back and fun and serves good food without a fuss. Portion sizes are generous, the vibe is good and staff are great too. It’s no fuss, no frills eating… and it’s great! Address: Cubata Sydenham Port Elizabeth, 16 Stebonheath Road, Sydenham, Port Elizabeth, Eastern Cape, South Africa. This hidden gem specialises in authentic Asian cuisine, dim sum and noodles. All food is hand-made and served oh-so-fresh. Overall, the food is well-priced and good, while the atmosphere and flavours ensure a great place to go for tasty food. 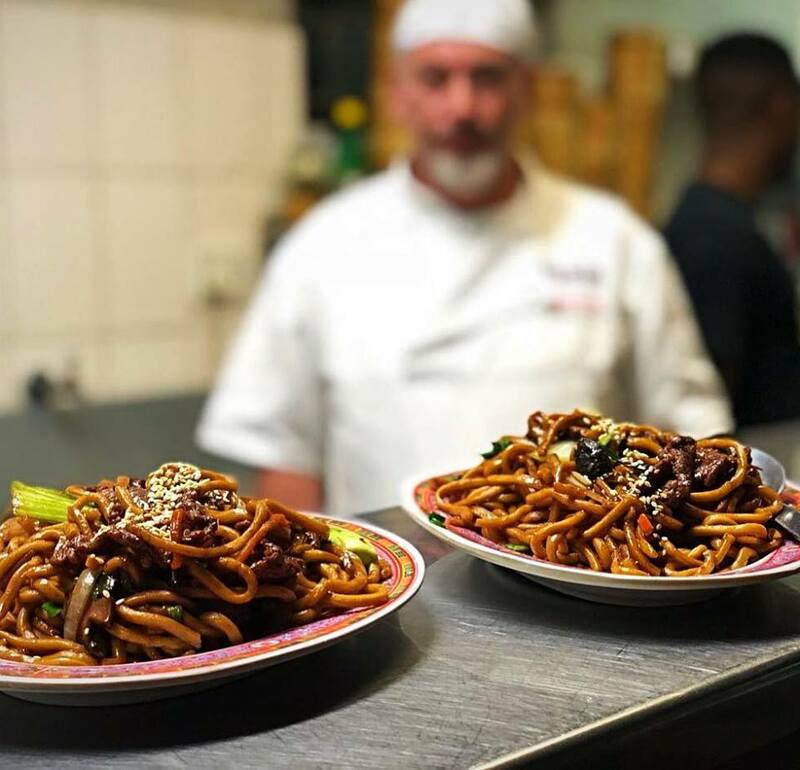 Address: Mellas Dim-Sum & Noodles Bar, 15 Bain Street, Port Elizabeth, Eastern Cape, South Africa. As the only wood-fired steakhouse in PE, this one is a special find. With a relaxed, welcoming atmosphere, a homely setting and mouthwatering food, it’s hard to go wrong with Sticky Fingers. The hosts, Godfrey and Karyn, are especially wonderful and really add to the experience with their warm hospitality and all-round attentiveness. Address: Sticky Fingers Wood-fire Steakhouse, 23 Webber Street, South End, Port Elizabeth, Eastern Cape, South Africa. 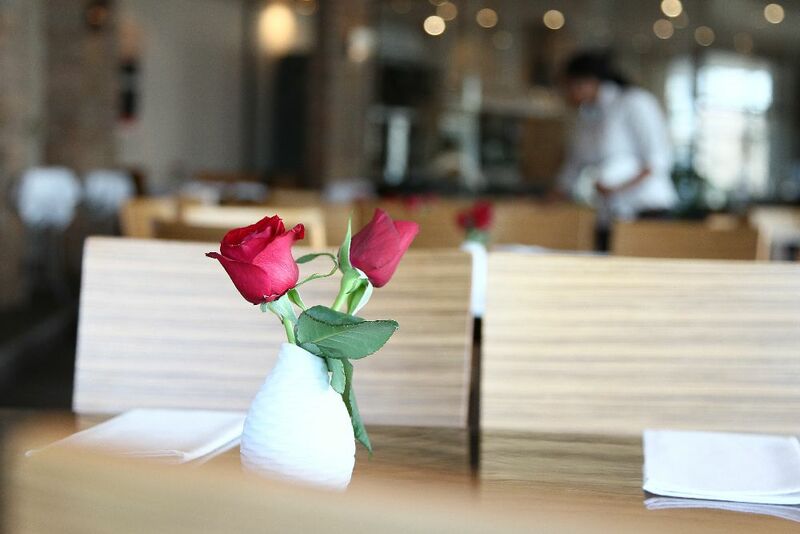 With a cosy, chic atmosphere, warm hosts and even better food, Natti’s offers a unique, incredible dining experience in pretty PE. With a touching family story as the poignant inspiration and motivator behind this restaurant, it’s clear that at Remo’s Italian, brotherhood and family are vitally important. Remo’s Italian is a wonderful, quietly unassuming eatery, which serves Italian cuisine at its best… What’s more, service and the atmosphere are impeccable too. And, with branches in Durban, Johannesburg and Port Elizabeth, Remo’s offers a touch of class and a taste of Italy across South Africa. Address: Remo’s PE, Alabaster Street, South End, Port Elizabeth, Eastern Cape, South Africa. This ocean-side restaurant is truly beautiful… and so are its views. In every way, it is chic, polished and delightful, especially from a decor and setting point of view – best of all though, the food is the crowning glory here. With everything from succulent steaks to fresh, lovely seafood, Coachman on the Bay is a winner through and through. Address: Coachman on the Bay, Brookes on the Bay, Summerstrand, Port Elizabeth, Eastern Cape, South Africa. With a cosy atmosphere, sound service and excellent quality steaks above all else, Backstreet Grill is well worth a visit. So be sure to join them for a delectable meal in a lovely Port Elizbeth restaurant. Address: Backstreet Grill, 19 Bain Street, Richmond Hill, Port Elizabeth, Eastern Cape, South Africa. 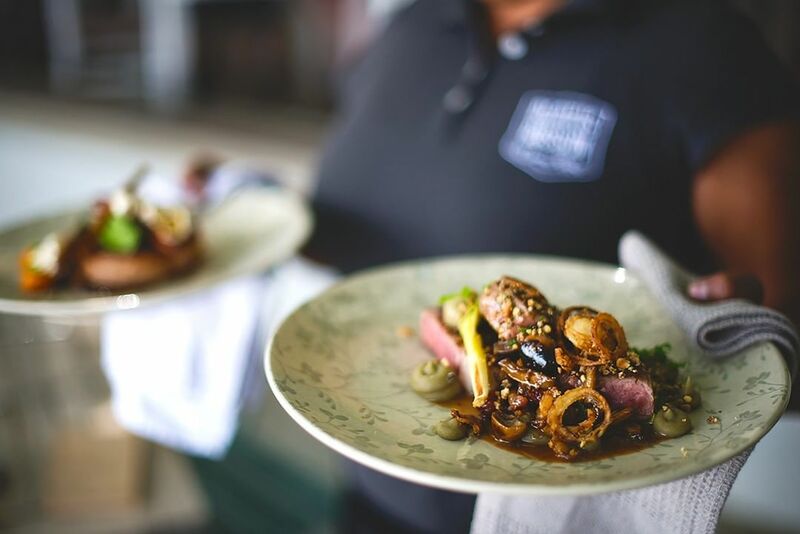 These are the best eateries in PE… which is your favourite?